From the mouth of hell to your desktop. Intoxica is composed of left overs from the devils workshop. 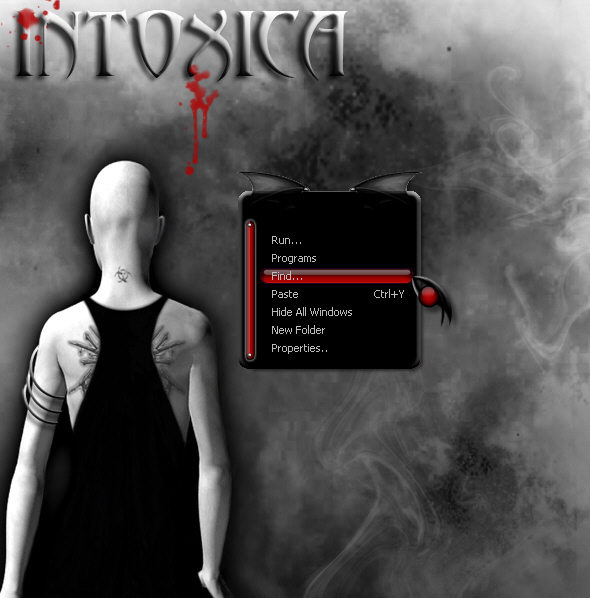 The intoxica rightclick is userfriendly and a visual feast. One suggestion....change the color of the ArrowPopup.bmp so the arrow can be seen in the normal state. It shows you which items have flyout menus. Looks great Kitty! And if you ever need help your always welcome to write me as well using my nick @msn.com. I know others have offered so I'm offering as well.